North Carolina Paving Pros is proud to offer Raleigh, Fayetteville, Jacksonville and the surrounding areas professional paving services. We provide both commercial and residential services to fit your needs. From new parking lot installations to driveway repairs, we offer a wide variety of asphalt paving services. From private roads to brand new driveways, we specialize in providing complete residential paving services throughout North Carolina. Your residential paving needs are in great hands when you choose us. ​In addition to our residential paving services we also provide an extensive list of commercial parking lot services. From parking lot repairs, re-sealing, to resurfacing and more, we handle all your commercial parking lot paving needs. With decades of experience under our tool belt, we proudly provide both residential and commercial clients with exceptional paving services. The materials we use are extremely durable and last for decades. While minor maintenance is required, rest assured our services offer the best quality in North Carolina. For a consultation or installation quote, please give us a call to schedule your appointment. 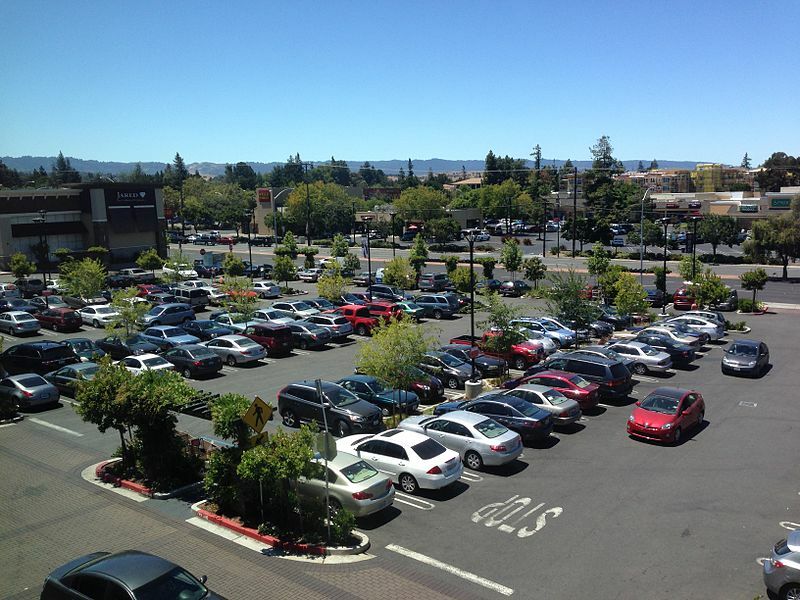 ​Is your business in need of a new parking lot? Perhaps you are getting ready to finish off your building. Whatever the case, we offer new parking lot paving services to put the finishing touches on your business. Professional and timely, you can count on us to get the job done right. Looking for parking lot resurfacing services “near me”? If so, we want to help. We offer parking lot resurfacing services for commercial businesses throughout North Carolina. Let us resurface your parking lot correctly the first time. Need assistance for your asphalt parking lot crack repairs? Our team has the experience and skill necessary to tackle your parking lot repairs quickly and easily. Turn to us for high quality parking lot repairs when you need them. We also provide parking lot sealcoating services in Raleigh, Fayetteville, and Jacksonville. Parking lot sealcoating is critical to the health and longevity of your parking lot. Don’t leave it to chance. Choose a paving company you can trust. Our line striping services are ideal for commercial parking lots. We understand local codes and are in compliance with regulations to ensure your parking lot serves you and your customers. Striping is so much more than laying down paint. It is a meticulous process that requires skill and experience. Our team has both. At NC Paving Pros, we don’t take a one-size fits all approach to commercial parking lot paving. Instead, we strive to offer customized solutions that benefit your business and your pocket book. 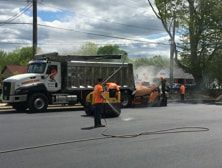 Whether we are striping your parking lot for handicapped customers and fire lanes or providing some much needed maintenance in the form of sealcoating and resurfacing, we do every job to the best of our ability. We know how important it is to have a quality parking lot for your business. It is often the first impression your customers get of your business. By choosing North Carolina Paving Pros, you’re making the right choice for a great first impression. ​Your drive way holds the keys to attractive curb appeal. Our new driveway installation services ensure that yours is high quality and durable. When installed correctly, your driveway will look great for years to come. Looking for driveway repairs and sealcoating near me? If so, we want to help. We provide professional, premium quality driveway repairs and sealcoating services. From the materials we use to our team, every aspect of our job is completed to the highest quality market standards. Sealcoating and resurfacing your driveway is imperative if you’d like it to last for years to come. Our driveway resurfacing, refinishing, and seal coating help you maintain an attractive driveway for years to come. Asphalt driveway paving services come in a variety of shapes and sizes. What works for one person’s home or business may not work for another’s. The location, weather, and materials used all factor into the quality of service you receive. As a paving company, we have factored these features into our services to guarantee we offer every service you could want or need. Choose us when searching for paving companies in North Carolina who provide asphalt paving. We are happy to discuss your needs via phone to provide a free estimate for the project. When your driveway is in disrepair or when you’re ready to hire a paving company to install a new one, we are the company to call. We have decades of years of experience in installing and repairing driveways. We also offer resurfacing and sealcoating services. For free driveway quotes, contact us. ​Do you have a parking lot that is in desperate need of professional paving services? If so, we can help. Our team specializes in providing repairs, paving, and resurfacing services. No parking lot is a match for our asphalt paving experience and skills. We happily provide our customers with free parking lot quotes when needed. From parking lot installations to driveway repairs, we handle a variety of asphalt paving services for both commercial and residential needs. Of course, getting a proper quote for the work you need requires a bit of research on your part as well. Our free quotes are based on multiple factors including the square footage of your lot, asphalt thickness, requirements for permits, the quality of the base used, and load requirements. We use each of these factors separately to provide you with a free cost estimate in North Carolina.